There is so much to see and do in the Algarve that it seems impossible to do it all on a single trip. 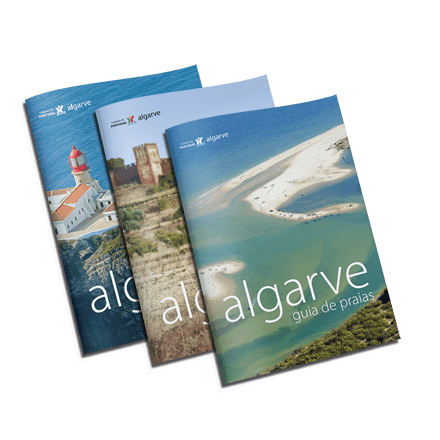 To make it easier for you, we have put together a guide that will let you explore the Algarve’s facilities, services, companies and venues. Finding us has never been easier. Use the services of trained professionals to help you choose and book your Algarve holiday. Find your travel and tourism agency here. It's easy to find somewhere to stay for your dream holiday in the Algarve. Travelling by motorhome is a fantastic way to enjoy local hospitality and learn about the region's secrets. Walks, bicycle outings, water-based activities, birdwatching, cultural trips... Choose and schedule the activities that will make your holiday unforgettable. One of the finest golfing destinations in Europe! Some of the best and most beautiful beaches in the entire world are to be found in the Algarve. Throughout the region, you can interact with the natural environment by playing sport in the healthy atmosphere of the Algarve. Strengthen links within a perfect setting! Algarvians across the centuries have left such a rich heritage which deserves to be explored. Take advantage of your holidays to refresh body and mind in the unique conditions offered by the Algarve! Find out about the various transport options to and from the Algarve and choose the one that best suits your travel requirements within the region too.